Somewhere along Hollywood’s recent timeline, veteran actor Nicholas Cage appeared to have lost his way. The former Academy Award-winning actor slowed his film roles between 2008 and 2009, right before the IRS began a tax evasion investigation. All but written off and the center of some rather uncharitable internet memes, Nicholas Cage is now seeking to resurrect his former good name and he’s doing it while carrying a very large ax-sword-scythe combination while looking for unfortunate darkened souls. The film that is going to do this? Mandy. For the inner circle of horror fans, Mandy is a long-awaited film. 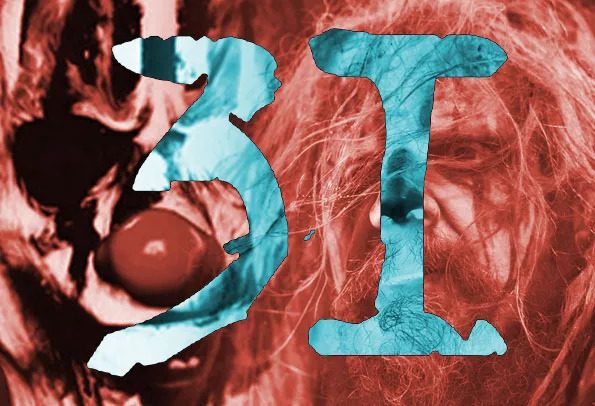 Second time director and writer Panos Cosmatos, son of legendary director George P. Cosmatos, brings a very eclectic blend of horror, heavy metal, and psychedelic scenery to audiences everywhere. The logline? Set in 1983 near the Shadow Mountains of California, a man’s love interest is abducted by a sadistic supernatural cult of epic proportions and he vows a bloody and violent campaign to seek out vengeance by whatever means necessary. It’s also rumored to feature a thrilling chainsaw duel that will contain the largest chainsaw ever to be recorded on actual film. The trailer from the 2018 Sundance Film Festival highlights the supernatural creatures to look almost like the dreaded cenobites from the notorious Hellraiser film series. Add in fast and furious car chases and the film looks like a horror version akin to the great Mad Max: Fury Road. 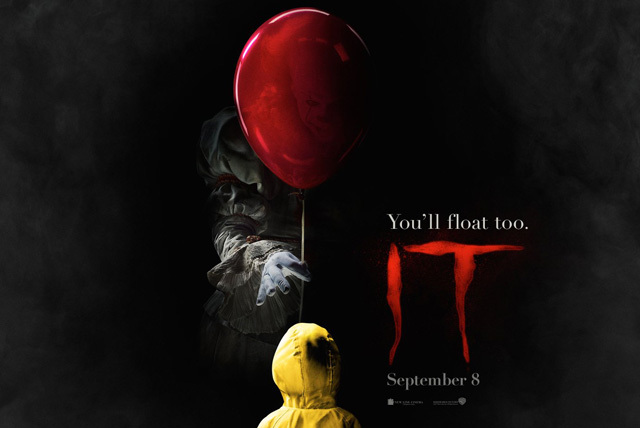 Such captivating visuals paired against the haunting and offbeat musical stylings of the late Academy Award-nominated composer Johann Johannsson give the film a bizarre 1980s noir vibe. For added texture and to complete the film experience, Cosmatos ensured heavy use of the Ari Alexa camera in traditional Panavision anamorphic format. Translation? The film will have the grainy visual style of a 1980s film. 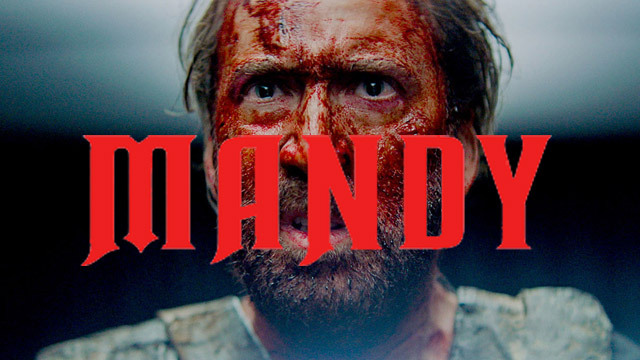 Film buzz and sneak screenings for critics are at an all-time high for Mandy. 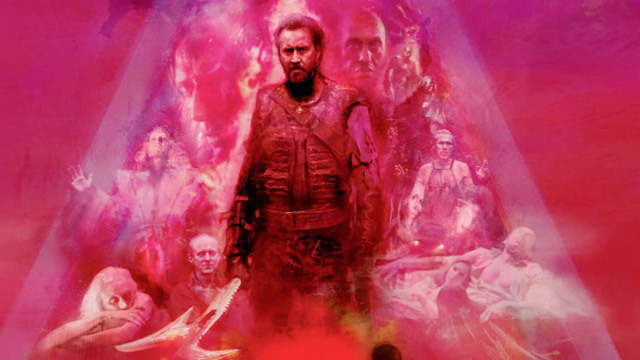 Many are praising what they have seen of Nicholas Cage’s performance in the film and all but guaranteed this will be a grindhouse style bloodbath that many horror fans can’t wait to watch. With a VOD release in mid to late September 2018, Mandy is sure to be a fantastic choice to screen in a late night horror movie marathon. Viscerally dark, with almost netherworld inspired overtones, and phantasmagorically primal in supernatural violence, this film is a Neo-horror fan film delight.